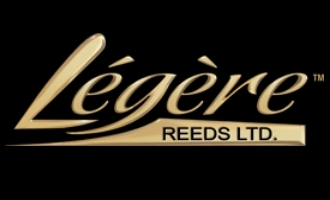 The original Legere is available for all types of clarinet and saxophone. This design is most suited to players who require soft to medium strength reeds, as well as all of the low pitch instruments. We suggest that intermediate and advanced clarinetists also consider the Legere Signature series, which offers better performance and is available in medium and stronger strengths. The unique patented synthetic material behaves in a similar manner to natural cane. It is light and stiff, which allows it to vibrate at the speed needed to create a vibrant, resonant sound. Like cane reed it will split lengthways if snagged or forced.